Home > Arts & Humanities > Art > Ansel Adams Photos Sale? Photos bought for just $45 (£34) have been proven to be the work of iconic photographer Ansel Adams and are now worth $200 million. Rick Norsigian, who found the photos, said he spent six-months having them validated, using the skills of a photographer, art expert and two handwriting analysts. After a six-month investigation, experts say the dramatic black-and-white photos of western American landscapes represent the “missing link” in Ansel Adams’s career. But now some question the validity of the photos, even Ansel Adams' family. Are the photos from the sale really taken by Ansel Adams? It is not known how the photos ended up at the warehouse, but art appraisal expert David W. Streets believes the photos were taken between 1919 and the early 1930s. The Adams family remains unconvinced of the photos' authenticity, however. 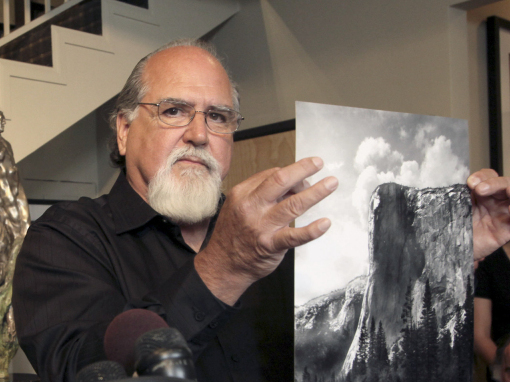 In addition to the handwriting issue, Ansel Adams’ grandson, Matthew Adams said in a statement he didn’t understand how the negatives could have possibly fallen out of the hands of his grandfather, who he said was very careful with the storage of his work. Furthermore, he said the negatives did not carry the photographer’s typical numbering system. One of the photos from Ansel Adams. For Rick Norsigian, the man who originally bought the negatives for $45, the set is at least worth the cost of a lawyer, a photographer, an art adviser and a handwriting analyst — among those who he hired to investigate the possible authenticity of his find. For now, the photos will go on a tour of universities and museums, starting in October at Fresno State University. Similar Threads for: Ansel Adams Photos Sale? How Did Gaines Adams Die?